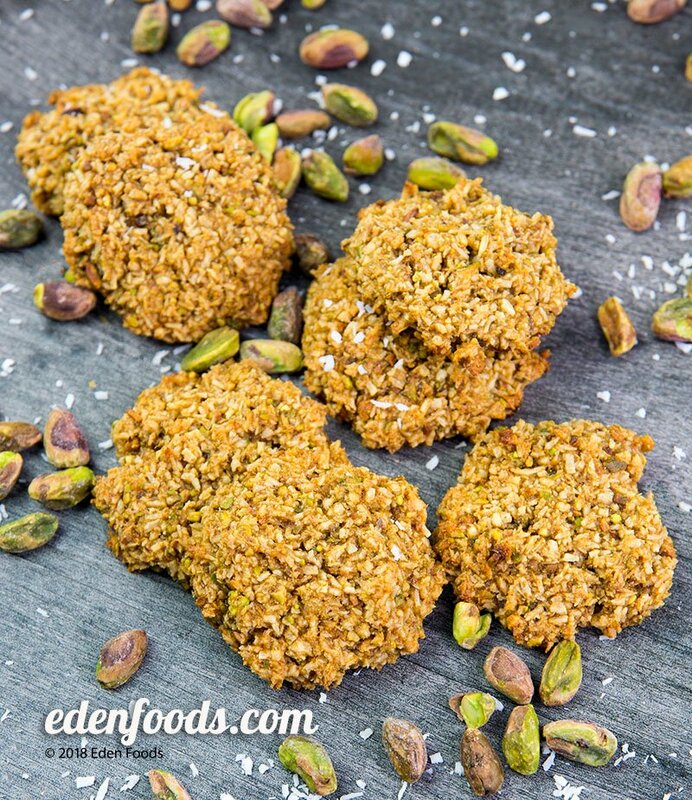 Preheat the oven to 400° F. Grind the pistachios in a blender or food processor until a coarse flour. Place in a mixing bowl with the coconut, pastry flour, baking powder and sea salt. Mix to combine. Add the barley malt, maple syrup and Edensoy. Mix thoroughly and let the batter sit for about 5 minutes to absob liquid. Line a large cookie sheet with baking paper. Taking 1 heaping tablespoon of the batter at a time, form into a ball, flatten slightly and place on the baking paper. Repeat until all cookies have been formed. Bake for 16 minutes until golden brown. Remove and allow to cool before serving.